Are Depp’s dogs really that big a deal? Did we only care because the idea of dogs on public transport is taboo in Australia? Johnny Depp’s dogs have been big news this week, ridiculously big news. If we shaved the offending mutts and laid all of their hairs end-to-end, I doubt we’d get anywhere near the column inches these two spoiled terriers have had in the last three days. That dastardly celebrity got on a private jet in the US of A and flew to Australia without declaring his dogs, putting the biosecurity of the entire nation at risk (if Barnaby Joyce is to be believed). 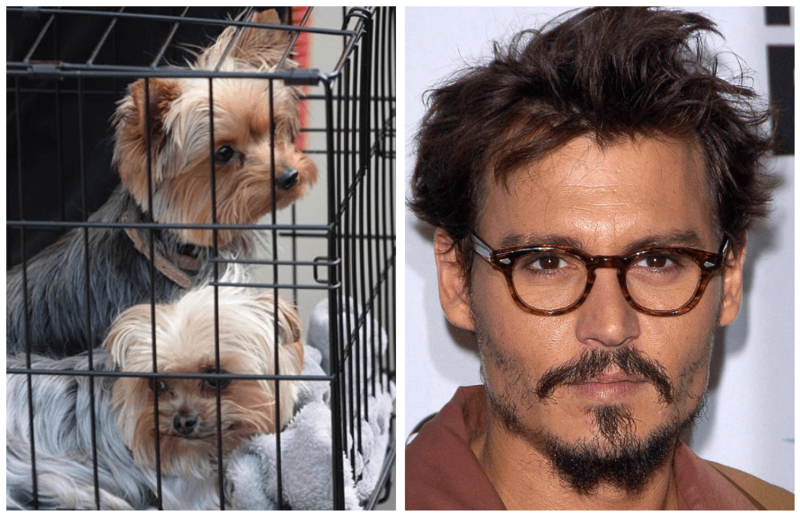 By leaving the US without telling them he had the dogs, Depp has apparently situated them as ‘stateless dogs’, and inspired an all out ‘war on terriers’. Joyce discovered all this at around the same time a doggie hairdresser posted on social media that she’d pampered the pooches and he gave the dogs 72 hours to leave the country or face the death penalty. Seriously, it’s enough to make you cry. When I first saw this story, I assumed it was a joke. Surely with all the actual real boat people and stateless persons we’re dumping into offshore processing, we have better things for our government to think about than two tiny dogs? With droughts to the left of us and floods to the right, aren’t there better things for the Minister for Agriculture to be doing? With our recent interactions with Indonesia over the death penalty, shouldn’t we maybe think twice about bandying around threats of death (even if they’re only canine deaths)? Depp put his dogs on a plane out of the country on Saturday, a fact Joyce celebrated with his ultra–mature tweet: ‘Dogs gone’. You showed them, Joycey boy, you showed them. It still remains to be seen whether the Department of Homeland Security will be waiting to bundle the terriers off at the other end and ship them off to Cuba. Another dog versus Australian public transport incident occurred last week, though it took up much less media attention. Well, none really. On Tuesday morning I was enjoying my leisurely commute from Sydney to Wollongong when the train was stopped at Sutherland station (an outer suburb of Sydney, working class to the core). And then it all went down. The first sign of the anti-dogs on public transport apparatus kicking into gear was two uniformed police officers marching through the train, giving the beady eyes to everyone. At the rear of my car they encountered the threat they were looking for; a teenage boy with backwards hat, bum bag across his shoulder, and a puppy on a leash. They bundled the boy, his dog, and his angry girlfriend off the train and stood right outside my window to discuss the situation. 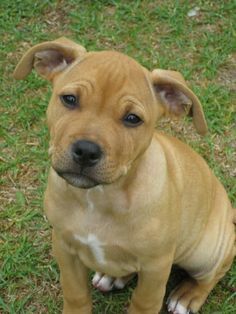 The puppy was lovely, a blonde bitsa with a staffy smile, Labrador tail and a snout full of wrinkles. It wagged its tail, sniffed the cops’ shoes and grinned up at them hoping for a pat. No pats for you, puppy. Nothing for you, puppy. Your owner, on the other hand, he’s getting the book (or maybe the whole shelf) thrown at him. Within five minutes the number of cops on the station had increased from two to seven. There were epaulettes with increasing stripes, going all the way up to a pippa. This was serious business. Yes, the boy did start yelling first. Yes, the girlfriend did join in. Yes, they both kinda looked like maybe you’d find an illicit substance or two if it weren’t 11am on a Tuesday. Yes, they probably should be working or studying or doing ‘something productive’ with their time. But no, they didn’t deserve seven cops in a circle because they got on a train with a dog. The circle of cops was tightening as the train pulled out. I got on with my commute, wondering where that boy was gonna sleep tonight. Where his dog was going to sleep. Now this was the second dog I’d seen on public transport that morning. Earlier, when I changed trains at Town Hall (an inner city station) a lovely later middle-aged woman had disembarked with her tiny terrier under her arm. The train was coming in from the monied-up Eastern Suburbs and her frosted tips, tailored suit and sensible heels told me she was heading off to some corner office for the day. The terrier (remarkably similar to Depp’s dogs) was tucked under her arm; its groomed paws perched on the edge of her leather handbag. Other commuters mostly looked at her sideways, surprised but not visibly upset by the dog. She clattered across the platform and mounted the escalator, all without being apprehended by one cop, let alone seven. The lady and her dog made it to the top of the escalator unmolested and moved off to their day in the city. People were confused but no one ran in fear. My point, and I do have one, is that maybe it’s time to rethink how we approach animals in public spaces, particularly on public transport. Admittedly, Joyce’s decision to booth Depp’s dogs was in line with Australian quarantine rules, and yes, dogs do sometimes carry diseases that don’t exist in Australia. I’m not saying that celebrities should have free reign to flaunt these laws, or that the laws aren’t justified. What I am saying is that maybe the obsession with the story harks back to a general animal unfriendliness pervasive in Australian public transport. In most states of Australia, including NSW, assistance animals are allowed on public transport (and, of course, police dogs). In Victoria, dogs can travel on trains but only if they’re muzzled. In contrast, across much of Europe and the US, dogs can catch buses, trains and even some flights, with their owners. Loosening up restriction on animals on public transport just seems like the sensible thing to do. Pets are important, they humanise us and give us a solid connection to the world. Vets have called for more rental properties to be pet friendly and a lot of Sydney’s new rental properties will be on transport corridors. More of us will be living closer to transport; more of us will be living with animals. Maybe it’s time to get over the confused looks at dogs on trains, the phalanxes of cops in response to one little puppy? Dogs NSW suggested a loosening up of the rules in 2009, and recent media calls have gone out to look at the issues again. Maybe in all these column inches about the ‘war on terriers’, we can think a bit about non-celebrity dogs and their right to travel. Next time you see a dog on public transport maybe give it a pat instead of calling the police?